Combining two classic flavors in one delicious bread!! 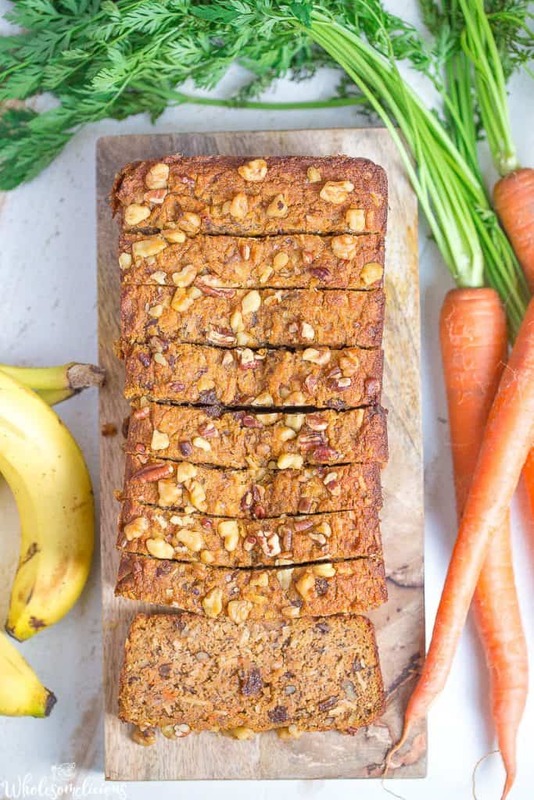 This Carrot Cake Banana Bread is the perfect spring treat, snack, or even breakfast. Packed with nutrients and a delicious flavor. Paleo, Gluten-free, and kid approved! Have I told you all lately how much I love carrot cake? It’s not something I talk about often on the blog, I’m too busy discussing my obsession with chocolate. But I need you all to know, carrot cake is another love of mine. I love the texture and flavors with shredded carrots, coconut, walnuts, raisins, and especially love the spice. 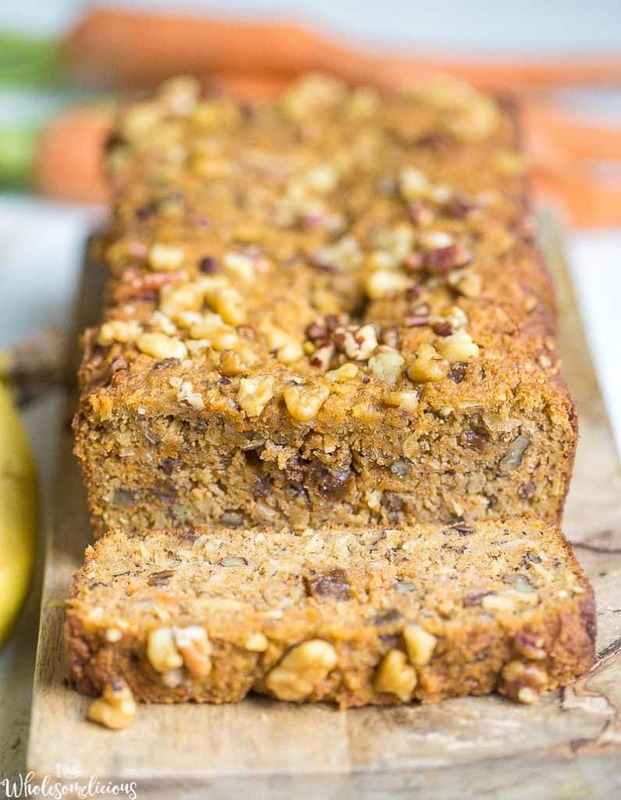 And banana bread……Something I make all the time for my little banana bread loving fam. These two seemed like the perfect union. And they are!! 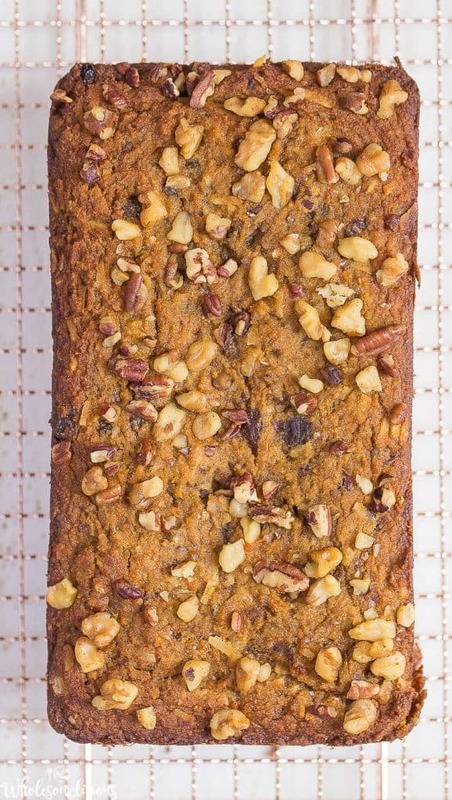 So on this Friday afternoon, enjoying a fat slice of this carrot cake banana bread with my cup of tea. And telling you how much I love it!! 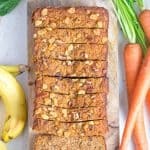 The bananas are a great way to sweeten up the bread without having to use much sweetener. 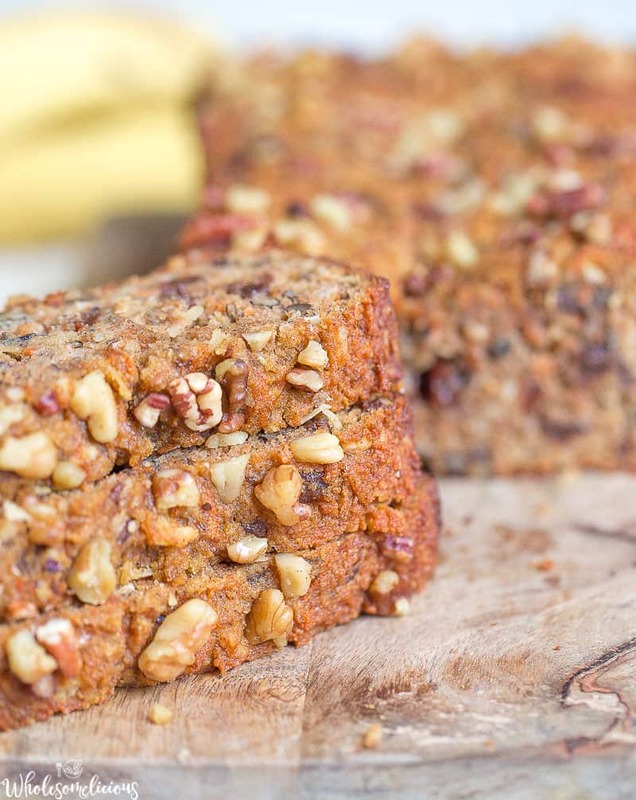 All the goodies: raisins, unsweetened coconut, walnuts, and shredded carrots give another burst of delicious flavor. 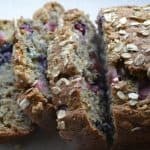 This bread is the ultimate easy breakfast, afternoon snack, or even lunchbox treat. I made two loaves this week, and already found my family has devoured both! This bread can be easily frozen and eaten throughout the week for a busy weekday morning. Preheat your oven to 350 degrees. Lightly grease a loaf pan (9x5 or 8x4), and set aside. In a large bowl, mix together your dry ingredients: almond flour, coconut sugar, baking soda, baking powder, cinnamon, nutmeg, salt, shredded coconut, and raisins. In a smaller bowl, mix together your wet ingredients: coconut oil, carrots, mashed bananas, and eggs. Now fold in your wet ingredients to the dry. Continue to mix until all dry pockets are incorporated, now fold in the nuts. Spoon the batter into the loaf pan. Spread evenly across the top, and place in the oven. Bake for 40-45 minutes, or until the top is golden brown. Remove from oven and let cool for at least 10 minutes before removing from pan. 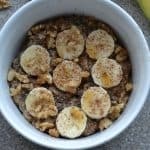 This looks great…but….is there bananas in this recipe? How many per loaf? Oh my gosh, I’m such a ding dong. Ha! Thanks for catching that, I just fixed it. 2 ripe bananas. Looks delish! Love carrot cake. Could applesauce be used in place of bananas or would that throw the texture off do you think? Thanks. Wanna try now but bananas are green. I think you could definitely do that! Let me know how it turns out! 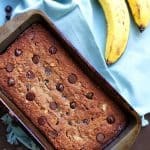 This may have been the best banana bread I’ve ever had! Woooohooo!!! So glad you loved it! I’m growing more and more sensitive to nuts and so I need to not use almond flour. Would a straight amount to 1/2 WW flour and 1/2 flour work? Or a larger % of WW flour which I prefer be okay? Sometimes more WW flour makes the taste go off kilter though. Does anyone have any experience with this? Thanks. Has anyone tried this with any type of egg replacement? Thank you. It looks delicious! So happy for your success Amy! Like your receipes – but I can’t use almond flour. No nuts Is there another flour I can use? 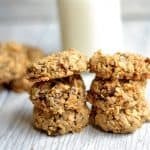 You could try oat flour! I’ve only used almond for this one, but the oat flour to almond flour ratio is about the same.